The presence of foreign weeds is slowly destroying South East Queensland’s (SEQ) precious ecosystems. Invasive weeds continue to thrive in our environment due to the inexistence of natural predators and similarities between Australia’s climate and the species’ country of origin. Infestations of foreign weed species along riverbanks and in rainforests have devastating effects on SEQ as they dirty water quality, kill fish stocks, destroy habitats and smother native vegetation. To help fight the war on weeds, Healthy Land and Water has been designing and implementing weed management plans across the SEQ region for the last 20 years, and more recently the use of biological control release methods has been applied to the removal of certain weed species. The frameworks and programs in place inspire landholders, industry groups and councils to take part in the initiative and help improve the condition of the region’s riverbanks and reduce the threats to water quality. The Healthy Land and Water weed control programs manage invasive weed species like the cat’s claw creeper, Madeira vine and the Chinese celtis across targeted locations in SEQ that have been identified by Seqwater as critical to maintaining high water quality. Exotic and destructive, the cat’s claw creeper is a vine weed that has been making its mark on Queensland’s natural environment since it was first introduced to the state from tropical America in the 1950s. With its vigorous root and tuber system, the aggressive vine has the ability to smother native vegetation to the point of complete canopy coverage along waterways and in rainforests. As the creeper spreads, it wreaks havoc on riverbanks causing bank erosion and poor water quality. 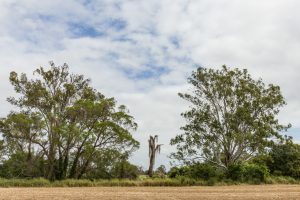 Due to the warmer conditions and tropical climate between far north Queensland and parts of New South Wales, attempts to eradicate the well-established weed in SEQ has been a battle for environmental groups and organisations for decades. Originally haling from South American countries, and now thriving in various parts of Queensland, particularly along SEQ’s urban waterways, rainforests and in tall open forests, the Madeira vine is notorious for blanketing and smothering native trees, shrubs and understory species. Growing at rates of up to one metre per week, the weight of this invasive vine can cause canopy collapse of mature trees and can lead to irreversible damage to our precious ecosystems. The Chinese celtis tree, native to eastern Asia, is well-established throughout most of SEQ and in north-eastern New South Wales. The fast-growing tree forms dense infestations along waterways and prevents the regeneration of native riverbank vegetation. Known for absorbing large amounts of water and vital nutrients, the Chinese celtis destroys habitats and impacts native wildlife populations. 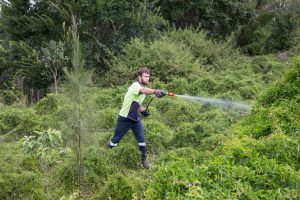 To help fight SEQ’s battle with invasive weed species, Healthy Land and Water teamed up with Seqwater in 2016 to deliver the Riparian Weed Control program. The targeted weed management program was developed to reduce and control the impact caused by the cat’s claw creeper on deep rooted native vegetation in six priority water supply catchments in SEQ. The treated catchments included, Stanley River, Buaraba Creek, Mid Brisbane River, Lower Lockyer Creek and Northbrook. Following the completion of the program in 2018, the volume of the vine reduced significantly within the treated areas. Eradication of the creeper ensures the long-term sustainable delivery of cleaner water to water treatment facilities through the ecological services provided by the now healthier and recovering native vegetation. The major success of the project led to the implementation of the Regional Weed Control Program as an extension of the Riparian Weed Control Program. The Regional Weed Control Program, running from 2018 to 2023, builds on the success of the Riparian Weed Control Program. 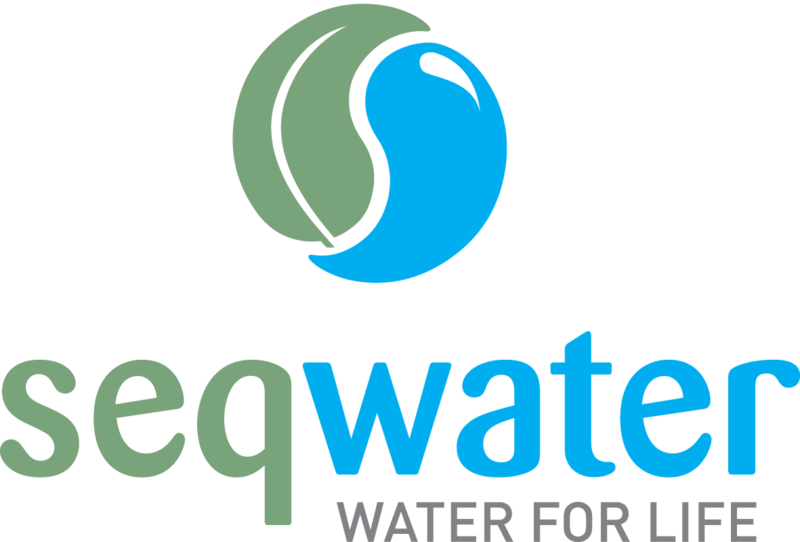 The objectives of the partnership program between Seqwater and Healthy Land and Water, include managing and reducing invasive weed species like the creeper, Madeira vine and the Chinese cletis. The program encompasses a broader variety of catchments than the Riparian Weed Control Program and includes additions such as the Mount Crosby area in the more central SEQ region, Cedar Grove, Kalbar, Kooralbyn, Canungra and Rathdowney, along the southern end of the Logan River. The cat’s claw creeper and Madeira vine are the primary weeds targeted by this program, however the Chinese celtis is a prominent feature close to the Mount Crosby water treatment facility and will also be targeted. In contrast to previous management efforts, which relied heavily on physical and chemical management of weeds, the Regional Weed Control Program will focus on the rearing and release of biological control agents. In addition to the widespread establishment of agents, the long-term objective is to develop the ability to continue the raising and release of agents beyond the initial phase of this partnership program scheduled to end in 2023.